Early music duo The Night Watch present a very special celebration of the music in William Shakespeare’s plays, to mark 400 years since his death. 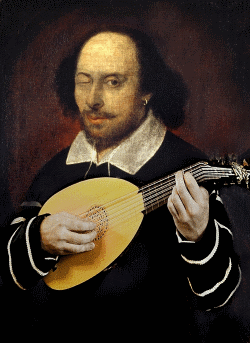 Shakespeare’s plays were full of musical references and actual songs where the script plainly says the actor should sing. The original music is rarely heard, however, even in period productions. So The Night Watch have researched and recovered his music and will play it on copies of Tudor instruments. 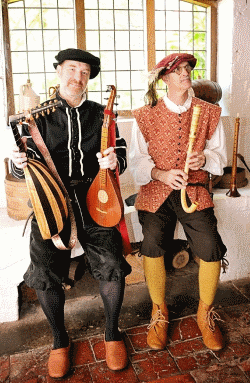 Between just two of them – Ian Pittaway and Andy Casserley – they sing and play recorders, lutes, crumhorn, bray harp, rebec, cittern, pipe and tabor, renaissance guitar, bagpipes, bandora, shawm, mandore and gemshorn.